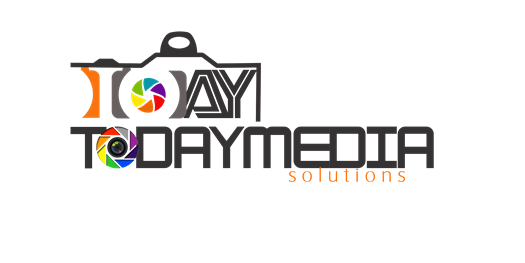 Nigeria Photography Expo & Conference is the largest photography and imaging show in West Africa, with an expected attendance of over 10,000 professional photographers and enthusiasts. You’ll have the opportunity to explore over 100 exhibits, see thousands of new products, attend conference seminars, keynote presentations, special events & much more. This year’s show will be held April 29 – May 2, 2013 at OUR PLACE, 7 Olufunmi Okikiolu Street, off Toyin Street, Opebi, Lagos State, Nigeria. NiPHEC is an annual photography event for professionals, students, educators and advanced amateurs interested in the photography and digital imaging industries such as commercial, editorial, advertising, wedding, portrait and art photography, among others. 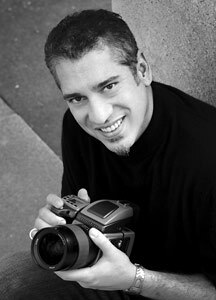 The photography conference includes photography classes, seminars, lectures and workshops taught by some of the finest photography instructors and speakers on subjects such as lighting and posing, wedding photography, business and marketing, social media, software and workflow, and video and multimedia. Conference speakers & facilitators include Kelechi Amadi-Obi, Joe McNally (USA), John Harrington (USA), Michael Grecco (USA), Seun Akisanmi, Leke Adenuga, Seyi Body-Lawson, Obi Somto, Kikelomo Koleosho, Richard Bamidele-Eko, Michael Agwunobi, Shola Animashaun, Seun Kupoluyi, Olawale Ojo, Ayodimeji Olugbewesa, Folake Ojeikere, Emmanuel Effiong-Bright, Yetunde Babaeko, Michael Adebiyi, Taiwo Orimadegun & Damilola Elliot. Feel free to download their profile pictures and help spread the news. You may choose to purchase a variety of conference passes that suit your time or budget. These pass options provide access to classes that reveal the latest trends and techniques, and may help you reach new skill levels and compete more effectively in today’s active photo business market. The experience and knowledge you can gain by attending the Conference may be more than you can obtain anywhere else. Advanced amateur and professional photographers alike can be inspired by a conference class to try something new, develop broader photographic skills, redefine a personal photographic style or learn to rely less on software and post-production and more on yourself, your vision and your camera. Even more, a conference class at NiPHEC is a great place to be surrounded by other photographers who share a similar passion, all while learning from your favorite photographers. For daily updates about NiPHEC 2013, CLICK HERE. The trade show provides attendees with access to emerging technology, hardware and software solutions and digital imaging product demonstrations from some of the leading brand names in the photography industry such as Canon, Nikon, Sony, Epson, Adobe and many others. This is one of the best places to try and compare products and even discover the unexpected solution that may help you be more creative or productive. NiPHEC is proudly brought to you by eloPhotos Academy & will hold annually in April. It is destined to be the largest gathering of photography lovers seeking to know more about their industry in West Africa. Interested in being a part of this monumental gathering of photography lovers? Submit an inquiry for NiPHEC 2013.